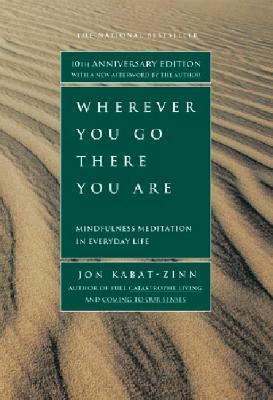 In this book Jon Kabat-Zinn maps out a somple path for cultivating mindfulness in one’s own life. It speaks both to those coming to meditation for the first time and to longtime practitioners, anyone who cares deeply about reclaiming the richness of his or her moments. Mindfulness means paying attention in a particular way: on purpose, in the present moment and nonjudgementally. Meditation is not about feeling a certain way. It is about feeling the way you feel. Non-doing simply means letting things be and allowing them to unfold in their own way. Meditation means cultivating a non-judging attitude towards what comes up in the mind, come what may. Being whole and simultaneously part of a larger whole, we can change the world simply by chaing ourselves. There is no successful escaping from yourself in the long run, only transformation. Posted on October 23, 2008 by BengtPosted in Body Mind SpiritTagged Books, Meditation, Mindfulness, Review.